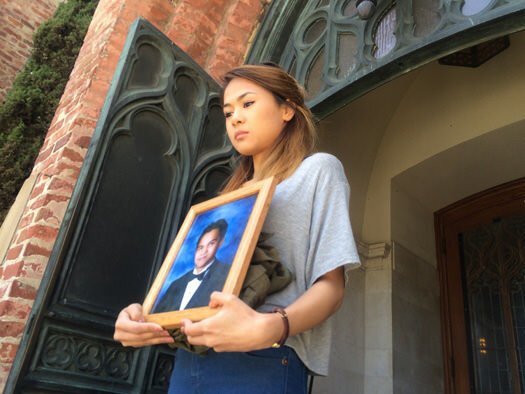 Do Asian American lives matter? How silly to ask during Asian American Pacific Islander Heritage Month. But really, do Asian American lives matter? Not just the super-achieving model minority cubs breastfed from Tiger Moms, but the struggling Asian American immigrants who are seldom heard, hardly seen or even recognized? I wondered about that when President Obama was in New York for the young men’s support program called “My Brother’s Keeper,” a positive event for the administration to address coincidentally the situation in Baltimore. I didn’t hear any specific mention of Asian Americans. But as he spoke, I kept thinking of real Filipino immigrants like my cousin Stephen Guillermo. It was the rhetoric of inclusion, and somewhere between Baltimore and the Pine Ridge reservation, I know he probably meant to include the densely-mixed commercial and residential places that Asian American immigrants know, such as New York’s Chinatown. Or San Francisco’s immigrant hot spots beyond Chinatown, the Tenderloin and South of Market districts, where drugs and prostitution are a normal part of the urban landscape. In San Francisco, the single room apartment on Mission St. was good enough for the two parents, Stephen, and his two little siblings for a while. But as the kids grew, the parents’ income and opportunities didn’t. And when Stephen’s father died of cancer, Stephen delayed college and worked two jobs to support his family and pay off his father’s debts. Last year, after eight years at San Francisco State, at age 26, Stephen finally had the credits to graduate. After a night celebrating, he went to his apartment building, but got off on the wrong floor. Since every floor is identical, he went down the hall and knocked at the door of the same apartment on the third floor— not his family’s apartment on the fifth floor. 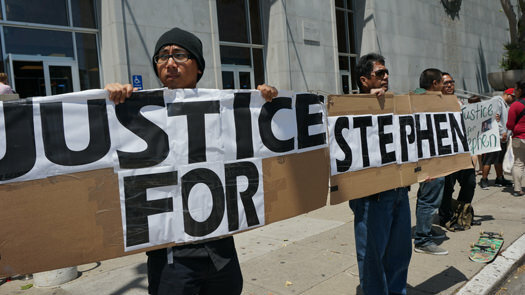 Stephen was shot and killed by a 67-year-old African immigrant, a retired security guard. When the president spoke on Monday, it had already been a tough weekend. The family had gathered in San Francisco to see the Pacquiao fight, wanting something to cheer about. It was the eve of the one-year anniversary of Stephen’s shooting death, and we were hoping for a happy event–a Pacquiao win! In some ways, it was good that Pacquaio lost the fight; gloom was already in the room. Though frankly, I scored it 7 rounds Pacquiao to 5 for Mayweather. I kept thinking about a tax analogy. Your CPA will tell you tax avoidance is fair. Tax evasion is not. The difference is slight, but there is a difference. Same with boxing. It’s called a fight for a reason. You clash. My score 115-113, Pacquiao the aggressor. The three American judges scored it unanimously for Mayweather. I guess justice is just as elusive in boxing as it is in real life. When the fight ended, it was gloomy enough for the news I shared with my cousins. After a full year, the DA had yet to complete his investigation. The medical examiner’s report was not done, and the police report was unavailable because the case is still considered open. Surely, just as DA George Gascon saw fit to campaign last November for a recodification of some laws from felonies to misdemeanors, he’d want to fight for a change in how San Francisco uses the Castle Doctrine? I was told we’d hear back about the medical examiner’s report in a few weeks. In the year since Stephen’s death, my ears prick up over every act of gun violence. We have seen Ferguson, New York, now Baltimore. We have seen numerous examples of gun violence, from the Elliot Rodger rampage to the Seattle college shooting. Every episode brings back a memory of the senseless death of my cousin. And then there was the president talking about Baltimore on Monday.